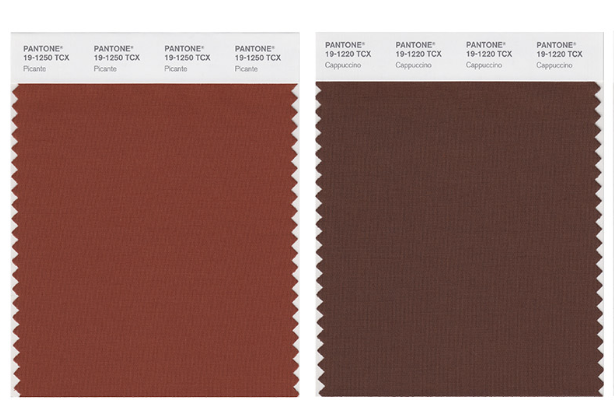 If you’re interest at all in wedding or event planning, then Pantone’s colors have probably come across your radar once or twice. We mentioned in a post a couple weeks back that Living Coral is Pantone’s color of the year for 2019. It’s the ideal Spring or Summer wedding color, because it looks so beautiful with so many neutral tones, but adds that fresh pop of color that so many brides love to accent with. However, if coral isn’t your ideal wedding color, there are several different options out there for fresh color schemes that you may not have seen done before. We’ve collected some of our favorites that Pantone recommends for 2019 weddings and events. Made up of soft, earthy shades, with a splash of bright fuchsia, this color scheme feels classic without feeling overdone. The fuchsia doesn’t feel too loud when mixed in with earthy greens and pale pinks and grays. This palette highlights that gorgeous coral everyone is loving so much this year. The shades of teal and green in this color scheme make it perfect for a destination wedding, or a couple who want to bring the tropics to their hometown! This color palette highlights some vintage shades of gold, copper, and orange. These colors together are ideal for outdoor weddings, because the natural greens and browns of any landscape play beautifully together with these golden hues. If this post inspires you, check out our post a few weeks back about the top trends to watch in 2019 weddings. If you want more creative ideas, our team loves to help you design your big day. Give us a call today to see how we can help make your event as beautiful as possible! Between the warmer temps, and Marie Kondo everywhere you turn, we’re all feeling a little more inspired to clear the clutter and simplify our lives these days. Spring is a time of new beginnings, and there’s no better time to clean out your house and start fresh! Today, we’ve collected a handful of songs to inspire you to roll up your sleeves and get to work. There are some obvious choices here: ‘So Fresh, So Clean’ by Outkast, and ‘Another One Bites the Dust’ by Queen. While others, such as ‘Countdown’ or “thank u, next’, are there to help you as you cross things off your checklist. The rest are there to get you off your feet and keep you moving through all of the monotony of cleaning out all of the junk and dust you accumulated all Winter. We put playlists out here on the blog every once in a while. You can see a few others HERE, HERE, or HERE! We’re passionate about music here at Snyder, and we believe in putting together the perfect playlist for any occasion, including your next event! Contact us today to see how we can fit into your next event’s plans! The most interesting part about weddings is that they are always evolving. For a tradition that has been around for so long, it’s remarkable how nothing ever gets stale. The trends change each year, causing weddings from one year to the next to be their own. So, in honor of all of the brides (and grooms) out there who are beginning to piece together their perfect day, we have scoured the hottest trends list and compiled some of the best ones for 2019. Get your planners ready! Pantone’s color of the year is “Living Coral”, and it is showing up all over the place in bridesmaid’s dresses, floral arrangements, place settings, and more. If you’re wanting a classic color scheme with a twist, coral looks beautiful next to cream, gray, gold, and white. According to The Knot, lighting rentals are topping the charts in 2019 as the most highly sought-after rental. The days of renting statement seating for guests are moving behind us, and instead brides are opting to make a big statement with dramatic lighting! Confetti canons, and colored smoke bombs have crept onto the scene, replacing bubbles and sparklers for many brides. And, if the confetti exit idea strikes your fancy, we have confetti canons here at Snyder and could make your dreams come true! Flower crowns have been around for a year or two now, but we’re starting to see floral necklaces, bigger, more elaborate crowns, elaborate boutonnieres and more. Is there something about your city or the destination of your wedding that your guests may want to do while they’re in town? Give them the gift of experience! Vouchers for local wine or beer tastings, sunset cruises, and tickets to historic landmarks have become big gift ideas. It’s practical and well-received! As you’re planning your perfect day, we want to be part of it! Our team fits seamlessly into any vibe or theme you’re trying to curate for your wedding day. As you’re creating your Big Day to-do list, don’t forget to add calling Snyder to your list! This blog is all about lawn game options for your next warm weather gathering. Get all the info you need to know inside. Weddings, corporate events, parties, casino events, murder mystery experiences…what ELSE could we possibly add to the list of things we love to host? High School Proms! We love to partner with local public schools to put on a great prom for students. After all, many of the services that we have showcased here on the blog our that we highlight on our site can translate to a younger crowd. Every great prom needs the same things that a great corporate event or wedding reception may have! More than just a playlist, a DJ can watch to crowd to see what is getting people up and moving, and even serve as an MC to transition to different types of events and dances. Having a live person spinning music gives the students the chance to request music if there is something they want to hear, and it creates a more personalized experience for everyone there. The most important part of prom is the dancing, so you don’t want to skimp on the DJ experience! Nothing inspires a night of non-stop dancing like good dance-floor music. Quality dance floor lighting is bright enough that everyone can see around the room, but dark enough that people don’t feel self-conscious about dancing. If it can fit in with your theme, that’s even better! We have everything you can think of when it comes to dance floor lighting, and after partnering with schools that had proms such as Star Wars…we feel confident that we can design a lighting plan that will fit your school’s theme perfectly! A photo booth will give students the chance to capture lifelong memories with their friends. If all of this effort is going to put into one evening, a tangible photo to remember it by is key! 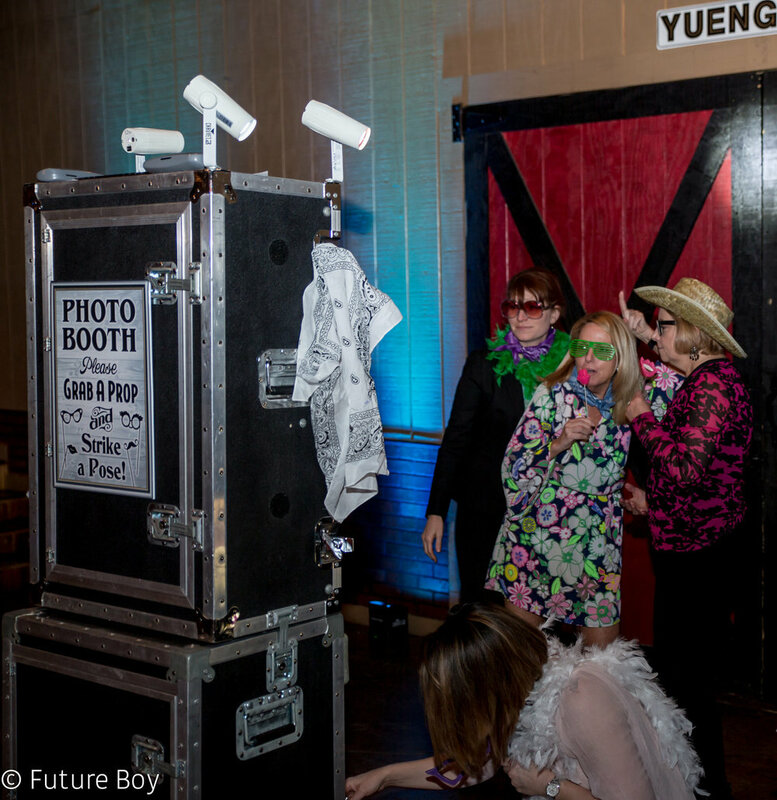 We have photo booth options with props, social roaming booths, and more! And of course, printable photos include your prom’s theme and school name, to make it a true keepsake for all students! If you are looking to take your school’s prom to the next level, it’s easier than you think! We are one-stop shopping for everything you’ll need, so give us a call today! Wedding season is upon us, and there is no shortage of things to be done for happy couples everywhere. If one of the items on your ‘to-do’ list is to select music for your big day, we’ve got all of your bases covered! We’ve talked a little bit about our process for forming playlists on the blog in the past. 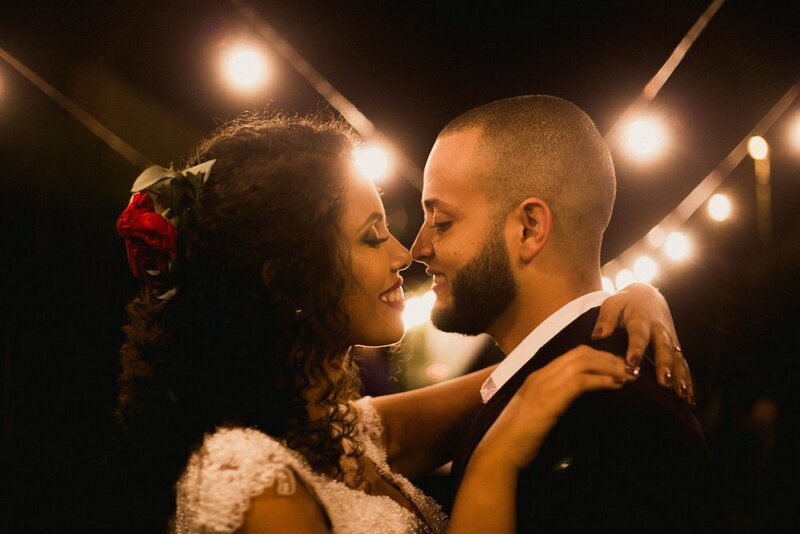 Our highly-skilled DJs can take a few of your favorite songs, and curate a mix that will mesh with your personality and the kind of music you were hoping you have at your reception. The first dance is arguably one of the most important songs in any wedding playlist. It’s important that you choose something that reflects you and your future spouse, and that can feel like a big responsibility! You likely want something sentimental, romantic, but maybe a little unique. If you’re looking for some fresh ideas for first dance songs, we have created a playlist for you to sample some new ideas from! These songs also make the perfect addition to any wedding playlist, if you’re looking for some inspiration! No matter your musical preferences, Snyder can help you craft the perfect wedding day playlist. Contact us today to get started! To get an idea of what some of our wedding mixes sound like, take a look at this post! As you may have pieced together already, we are all about an unforgettable experience here at Snyder Entertainment. If that experience happens to involve a really fun party, then we are HERE for it! These are the exact reasons why we added Murder Mystery Parties to our menu of options: you aren’t going to find anything more unique than a Murder Mystery party, and they are fun! The best analogy we can think of to help you visualize what this experience is like is the game of Clue. Amongst you and your party guests, there is a murderer. The mission is to work with and against each other to figure out who the murderer is, and have a ton of fun along the way! We bring everything needed for the party, and all you need to bring are the people. One of our favorite things about Murder Mystery Parties is how versatile they are. If you’ve been hanging around here for a while, you know by now that we offer many different services that can be layered onto any event you’re planning, and Murder Mysteries are no exception! Photo booths, lighting packages, and DJ services can be bundled in to create package options. You can give your guests the experience of a lifetime! So, why might you want to host a Murder Mystery Experiences? These unique events make great rehearsal dinners, engagement parties, corporate events, team building exercises, birthday parties, or holiday parties. Essentially, if you have a special occasion to celebrate, but you want to do it in a way that everyone will remember and love, than this is the route for you! If any of this sounds intriguing to you, head on over to our Murder Mystery Services page. There you can read list of the different themes we have, packages we offer, and more! You can host a crime investigation themed around Nashville, the Roaring 20s, the 80s, a wedding ceremony, a 50s prom, and so much more! If you love a good reason to get dressed up, you will love these themed options that invite you and your guests to really get into character. If you’re intrigued by the entire idea, but you’d like to try one first…you’re in luck! Our talented team is hosting a St. Patrick’s Day Murder Mystery Experience at the Hotel Indigo here in Nashville. It’s open to the public, and the perfect way to celebrate St. Patrick’s Day! Seating is limited, so you’ll want to grab your tickets ASAP! Click below to view the event. February is almost over, which means that enough of 2019 has gone by for Bridal magazines to begin forecasting the biggest wedding trends that we will be seeing this year, and lighting keeps coming up. As we have scanned the lists, it’s been exciting to see all of the ways that Snyder Entertainment can provide options to match these big trends. Scroll to see three of the biggest reception trends of 2019, and how Snyder can help you make your wedding a day your guests will remember forever! Event planners are forecasting that personalization will continue to play a major role in the decor of many bride’s planning. Signature cocktails, special personal touches, and names and initials everywhere is what you can plan to see. This can even be done through lighting design! Our lighting options give you the opportunity to personalize your dance floor or reception hall lighting to project special dates, names, phrases, or anything else you can dream up! This will give your reception that personal flare that will impress your guests. From pops of colors in flower arrangements, bridesmaid dresses, or even send-offs with confetti, it’s projected that brides will be finding ways to break up the monotony in 2019 with brightly colored accents. These splashes of color can help show off a couple’s personality and style, without overwhelming the look of the reception. Snyder has plenty of dance floor lighting options that will express your personality, while maintaining a classic, put-together look. Statement lighting has been popular in weddings and events for a while, and it has not gone away. In 2019, the more show-stopping, the better! Dreamy, romantic lighting, or get-off-your-feet-and-dance lighting are possible with our lighting design options. Uplighting can also cast extra light to areas you may want to highlight (think wedding cakes!). The options are endless, because we want to be able to provide exactly what you need to have your personal dream wedding! If you want to learn more, be sure to contact us today to start a conversation about how our lighting can give you the event you’ve been hoping for! Snyder Entertainment is proud to be have a creative team of photographers and videographers that can create powerful visuals of any event that you can dream up. A series of live mixes from weddings that Snyder Entertainment has DJ’d.